Earlier, I was contacted by the anonymous blogger of RestrainingOrderAbuse.com (ROA) who notified me that anonymous user “Good Prevails” struck again with the “seeding” of Dash Poet, Linda Elllis’ 60-second, out-of-context video of my rant from the 33-minute, 9th episode of The ELI Factor. The seeding of that video can be found in the comment section of this ROA blog post. Because this “seeding” has come up a few times before and will likely persist, it is much easier for me to direct everyone to the video and text summary of that 9th episode of The ELI Factor in its full context. You be the judge if you think it is actually threatening of anyone’s physical safety. What is more important at this moment is that I call out and formally recognize and thank the anonymous blogger of RestrainingOrderAbuse.com for launching his website. It is an enormously, content-rich information resource. That website became a HUGE game changer for my side after we found out that the Georgia Court of Appeals was transferring my appeal to the Georgia Supreme Court on July 2, 2014. We were pleasantly surprised as we expected that the Georgia Court of Appeals would rule on the case. And if that didn’t go our way, we would then appeal to the Georgia Supreme Court. We never expected we would now go directly to the Georgia Supreme Court. 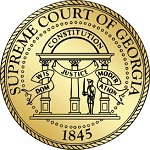 It turns out the Georgia Court of Appeals felt my appeal dealt with “significant” constitutional issues and that the Georgia Supreme Court was the most appropriate venue to rule on my appeal. When that occurred, I realized that “someone” in higher court understood some of the arguments I made that failed in the lower court. I was reenergized by the unexpected ruling. It was unexpected because I was not optimistic that the appellate judges understood the context of how Internet discussion forums worked, that the Internet wasn’t just one “location”, and how free speech issues translated to the Internet. When I filed my appeal, I felt it would be an uphill battle because this was Internet-related case and the fact that most appeals are rarely overturned. Although, I am encouraged by recent events, I still take very little for granted. I exercise cautious confidence. I am still of the belief that court appeals are always an uphill battle because I believe appellate judges simply don’t like to overturn lower court decisions unless they really have to. Nevertheless, I think my legal team and my supporters have done an excellent job supporting me in this legal fight. There is not much more I can ask that I did not receive. It is now out of my hands and the with the Justices of the Georgia Supreme Court. The reason I explain all this is that there was a CRUCIAL piece that was missing when Oscar Michelen and I worked on my appeal. We worked very hard on the briefs, combing through the very limited exhibits we had and the court transcript. He combed through relevant Georgia and federal laws. It appeared that Oscar raised all the legal questions and challenges that needed to be raised. But in my non-lawyer mind, something always seemed to be “missing” but I didn’t know what. One night, I sat in front of the Google website and began some random searches regarding stalking law, protective orders, the First Amendment, and various phrases I thought related to my case and argument. I was looking for any nugget, idea, or case that might help boost my position and argument now that my case was going to the Georgia Supreme Court. It then occurred to me to Google search with a COMBINATION of phrases “protective orders First Amendment”. I do not recall the exact search combination I used but it led to my “Ah-ha!” moment when I saw the website name RestrainingOrderAbuse.com! That website name perfectly described what happened to me. The DOMESTIC stalking protective order I received was an ABUSE of the legal system intended to protect people from potentially threatening or dangerous (ex) spouses, ex (significant others), ex (friends), ex (relatives), and other situations where people knew each other, had relationships with one another, and interacted with one another. I had never met, spoke, phoned, emailed, faxed, or communicated with the Dash Poet and yet here I was at the receiving end of a DOMESTIC protective order that forbade me or any of my users and readers from posting about the Dash Poet and washed away over 1,900 posted messages. The missing piece that nagged at me for months was suddenly clear to me. It was the Dash Poet’s ABUSE of the legal protective order system. And as it turns out, there is an epidemic of it going on flying under the radar in lower local courts throughout the U.S. where it is used to silence critics. The sudden realization of protective order ABUSE drove me to search deeper but it was the website, RestrainingOrderAbuse.com that directly connected me to Legal Scholar Aaron H. Caplan’s legal paper on Civil Harassment Order abuse and Legal Scholar Eugene Volokh’s legal paper on Criminal Harassment Laws & “Cyberstalking”. I devoured both of those legal papers in the middle of the night pouring over the cases and reading their arguments. I reached out to both legal scholars and shared the facts of my case with them and explained how my case was one they described in their legal papers and it was now going to be tried in the highest court of Georgia. Each of them graciously responded to my email and reached out to Oscar Michelen to ascertain the current state of my case. The very talented and resourceful lawyer that he is, Oscar quickly jumped to bring our legal scholars up to speed which ultimately led to the EFF to sponsor an amicus brief supporting my position and Eugene Volokh personally representing them both in legal brief and in oral argument! None of this could have happened had it not been for the incredible wealth of information compiled by the anonymous blogger on RestrainingOrderAbuse.com. He connected the dots for me. What happened to me was happening to others throughout the U.S. I was so grateful to him that I made a Paypal contribution to him with a short note of gratitude. Win, lose, or draw, the ROA website expanded our network of contacts, legal expertise, and awareness of the issue of restraining order abuse. I cannot thank the blogger of ROA enough for his important contribution to my appeal. Well, you know I should not be surprised by this slight, whether intentional or inadvertent, because there is so much of this that goes on in cyberspace, but really, Todd should have told you that I introduced him to both the Caplan and Volokh treatises and told him how they related to cases like his, mine, and yours. So he should have given me credit. And apparently he did not. I’ve started working on a post about your story. I’ve been cobbling together a complaint about the judge I was before last year and been distracted with some wrenching stories submitted by visitors to the blog. I wanted to tell you that I was contacted today by Matt Chan, a blogger who has a restraining order appeal that’s going to be presented to the Georgia Supreme Court by a New York attorney. He’s going to cite both of the monographs you recommended in the appeal, Volokh and Caplan, and says both professors have offered to write amicus briefs in his defense. He thanked me for making the articles available, but he really should thank you. I put this up: http://restrainingorderabuse.com/2014/07/23/a-case-of-restraining-order-excess-thats-headed-to-the-georgia-supreme-court/. So I am curious. Did Todd not tell you that I had brought these law review articles to his attention? Sorry about the Mickey Mouse avatar. It was not meant to be offensive. I have been trying to use my “Joel Bond Gunch” FB pic instead and just forgot. If you are the person who motivated, inspired, or encouraged Todd to share the mentions of Eugene Volokh’s and/or Aaron Kaplan’s respective legal papers, then I enthusiastically and happily thank you for doing so. It doesn’t change the fact that I found the mentions on Todd’s website which showed up in the Google search engine. Todd did not tell me you were the inspiration behind his posts so I only found out about it now when you posted your comment. Going forward, I have no problem making mention of your contributions to Todd which allowed him to pass it forward through his ROA website and subsequently, we benefited. Of course, I think you know I believe in paying it forward. It is the power of the Internet. I benefited so I am happy to do my part for others to benefit from. I am also happy to give credit where credit is due. I agree with you that it is professional courtesy. That is one big reason why (win or lose) I have no regrets in going public and writing about it. People need to know. Larry, it appears you and I need to get better acquainted. Please feel free to directly email me privately if you wish to communicate offline. Perhaps, a friendly phone conversation is also in order. I will send you an email privately to provide that option to you.